Funfetti cookies with icing, pineapple supreme cake, raspberry and blueberry muffins. My children have been cooking up treats with a Christmas gift from Nana. 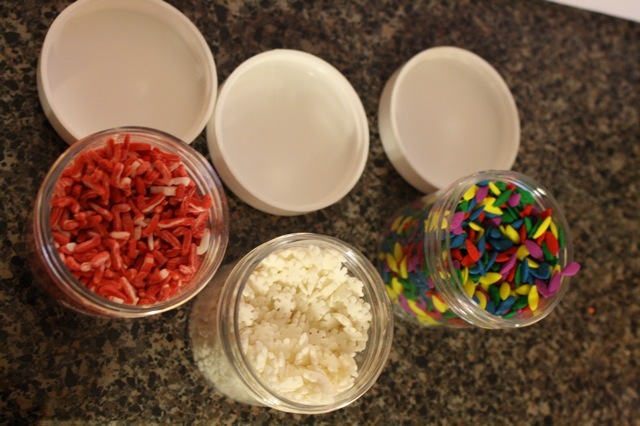 The cook box she gave them is brimming with boxed mixes but most importantly, sprinkles. The girls decided they would bake a few items from the cook box each week. So a bit of decision making skills are at play. They must agree on the item to bake. Decide when to bake it – for tea time or for after-dinner dessert? Maybe it’s muffins for breakfast? safety skills – don’t get burned! cleanliness – wash hands first! Now before you get on to me for allowing children to bake a bunch of sweets, the point is FUN. The cook box is part of the plan to be spontaneous. We have the ingredients on hand, all in one place, ready to stir up. Mix up some memories! Each time I draw up a meal plan, I look for spots I can include the children in the baking and cooking. I call this list Cooking Fun and place it prominently at the top of my meal plan. See, I need these prompts. The children enjoy the spontaneity. I must seize the opportunity to teach, enjoy my children and allow them to be part of the action. You can even make baking part of school with a free unit and lapbook study from Homeschool Share. Bonus: While you are baking, print these free pages from About Homeschooling on this Groundhog Day. Originally published last month on Hodgepodge under It’s Easy. I’m Writing My Own Cookbook, so feel free to browse meal plans and family-friendly recipes. Kerri has the handle on What’s For Dinner? in her series. If you missed it earlier, she covers everything from planning, coupons and purchasing to preparation and presentation. -Tricia homeschools five children from preschool to middle school, mixing up a classical and Charlotte Mason style. You can find her facing that daily dose of chaos at Hodgepodge. She contributes a mixture of writing for The Curriculum Choice, $5 Dinners, Passionate Purposeful Parenting and is a.k.a. Hodgepodgemom. What’s your favorite, messy activity to say yes to? LOVE this idea! How fun! this a wonderful idea! Love it! We needed something like this for inspiration. We are going to try homemade ravioli and sauce. Yep sometimes getting messy is what is is all about. Great stuff! 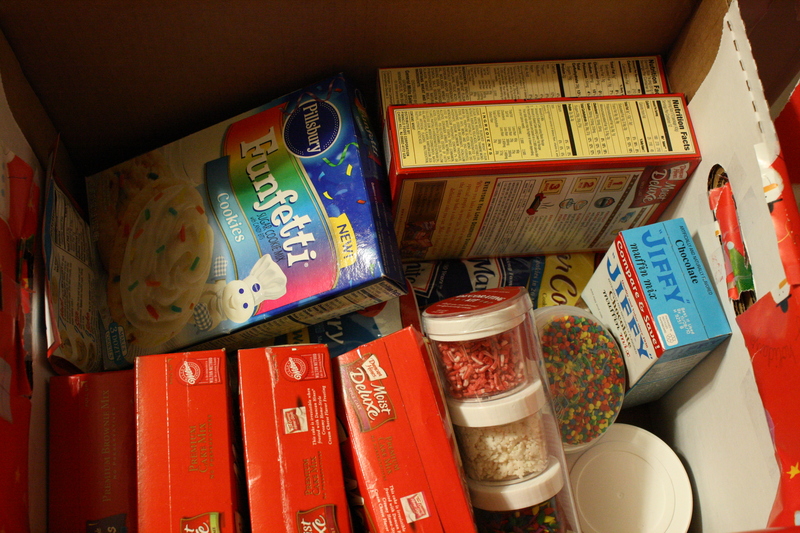 My kids would go gaga for this box of baking fun. Some favorite messy yes’s are playdoh, painting and outside in the mud.